Kleefeld on Comics: Sesame Street's David Sued Marvel? 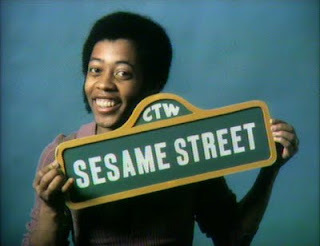 How many of you remember David from Sesame Street? By far, the coolest non-Muppet on the show, and the man had a great singing voice. He was portrayed by Northern Calloway from 1971 until 1989, a year before his death. This evening, I stumbled across information on this Supreme Court case. As near as I can decipher, the Supreme Court case itself involved the specifics of some contract law and how a court's ruling affects those who sign documents on behalf of others. But that case evidently stems from an earlier one in which "Calloway had developed an idea for a motion picture and written a script, and that [Marvel Entertainment] had begun to develop this work without his permission." Marvel acknowledged they were indeed working on said project, authorized under another set of other documents. That original case was dismissed. From what I've read about Calloway, he was pretty ill by the late 1980s and I get the distinct impression that the whole lawsuit was trumped up by some shady lawyers, hoping to win a big settlement. But my question is: does anybody know what project of Calloway's this was, and what might have happened to it? I doubt it'd be concerning any known Marvel properties, so I'd be curious to know what else they might have had in development at that time. Any insights or recollections would be appreciated. This kind of reminds me of a story I heard about Malcolm Jamal-Warner. Before he was "Theo" on the Cosby Show, he began his career by starring in a very dramatic stage production in which he was a child from a truly broken home, who fantasized about the Wolverine character to such a degree that he eventually made matters worse for himself. The actor remained a comic fan, and at some point during his time on the Jeremiah show years later had a series of scripts rejected from Marvel. During the same time though, he was also picking up side cash by directing episodes of Sesame Street, believe it or not. Some sort of synchronicity at work. I'm shocked that Marvel would turn down ANY celebrity from writing for them. The property was called THE SKYRIDER and was to be an animated musical sci-fi film. "Sy Ryder, is a motorman on the 8th Avenue Line, who becomes Sky Rider, a space hero, while playing a video game in his dreary Manhattan apartment."